A few years ago, my sisters, Raquel and Rosemarie went into a venture to start a restaurant in the grounds of U.P. It was a cafe at the back of Bahay ng Alumni, that shared a space with an art gallery. Oz With its artistic ambiance, and their delicious pastas and pita wraps, Oz Cafe garnered a cult following among the students of UP for quite a number of years. My personal favorites were the Japanese Fried Rice, the Pesto Pasta, and the Cheese Kranier. Three items I dream of till this very day. The undeniable star of Oz Cafe, however, was the Chocolate Molten Lava cake. This was a concoction that my brother made, after trying something similar at another cafe. He liked the whole concept of it, and felt that the version he was easting was good, but firmly believed with a few more tweaking, it could become great. I'm not saying this out of love for my brother - I'm saying this out of love for food. The Chocolate Molten Lava cake that my brother makes is the best you will ever try. The Lava cakes sold like.. well.. Hot cakes.. and became the flagship product of Oz Cafe. There were other desserts that were also quite phenomenal, but nothing that could even remotely compete with the popularity of the Lava Cake. Unfortunately, The whole economics of running a fully functioning restaurant on a University campus eventually caught up with us. The building administration escalated the rent to an unreasonable amount, making the whole operation unfeasible. So just like that, the Cafe closed shop, leaving legions of heart-broken students behind, hungry for the magical goodies from the world of Oz. It's 2010, and years have passed since the doors of Oz has closed, but the legend of the Chocolate Molten Lava Cakes, still live on. 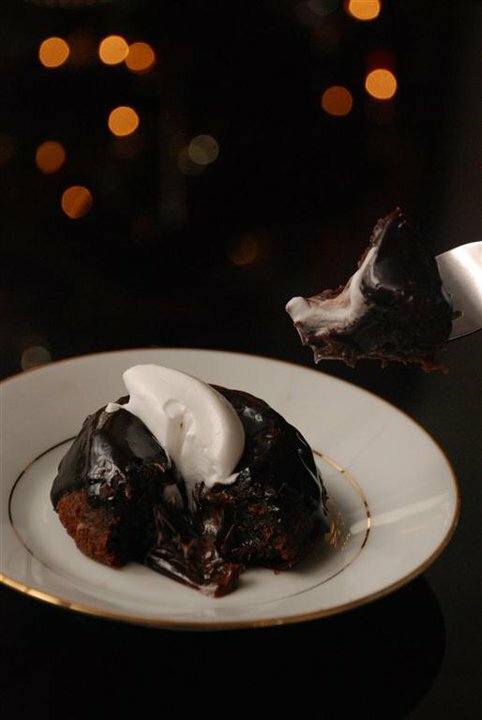 A Chocolate Molten Lava cake done just right will have it's chocolate filling would oozing out of its center when heated to the right temperature. 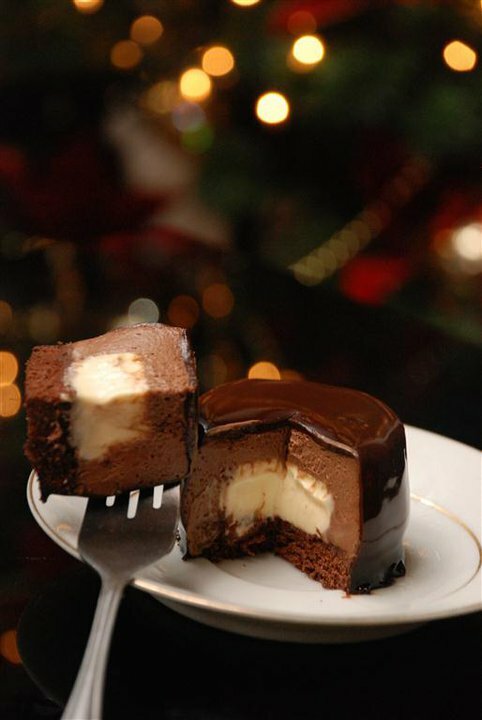 (Not all "lava cakes" do that by the way, as I found out this weekend.. but that's for another post) Inside this particular cake, is a creamy, rich chocolate that will leave you calling out the name of the Lord Almighty. You'd think, after all these years, I'd get sick of it. But nope. The Lava Cakes come in two variants: Dark Chocolate (Which more or less just describes the color, not the taste) and White Chocolate. Since it's awesomeness has withstood the test of time, I'm going to have to say that the Chocolate Molten Lava Cake deserves the distinction of being "One Of The Best Things EVER". Both flavors are exquisite, but of course, your preference would be reliant on your personal taste. Chocolate lovers will go crazy over the Dark Chocolate.. 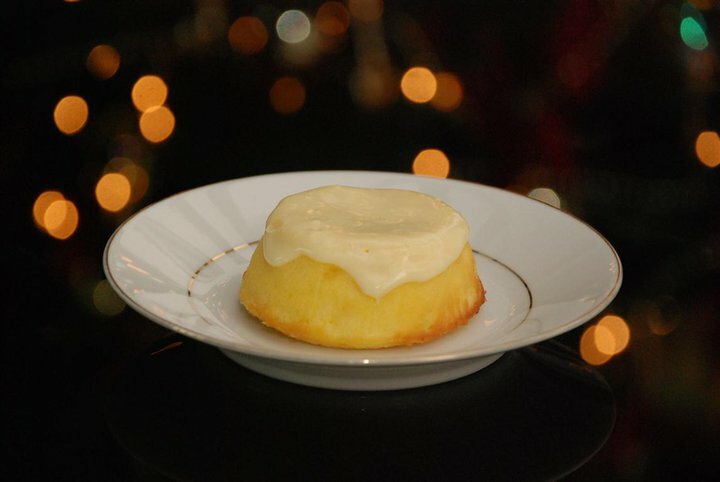 While the White Chocolate Molten Lava has more of a Pound Cake base, and a sweet, buttery taste to the white chocolate treasure found inside. Both cakes are best enjoyed when heated to around 8-12 seconds in a microwave, (depending on the temperature of the cake at the time of heating), and with a scoop of All purpose cream or vanilla ice cream (not included with the order). Although the cake is delicious by itself, I STRONGLY suggest, that if you don't have cream with you, try to wait till you do. I have relatives in the states that ask boxes of these bad boys to be shipped to them, because they can't find anything there that comes close. True story. 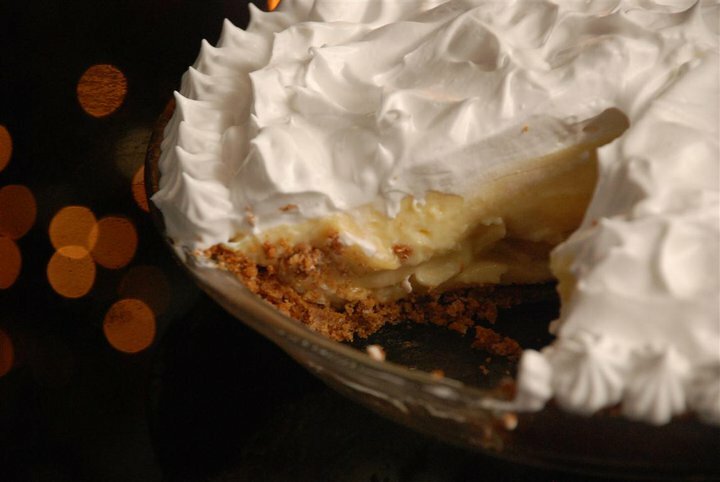 A pie that's so good, it'll drive you bananas. This is my brother's newest creation, and the dessert that convinced me that he is insane. I love Chocolate Mousse. I really do. Taking a lot at the madness he made, it looks like a Chocolate covered - Chocolate Mousse. It sounds awesome, doesn't it? I also love Creme' Brulee. However, being the picky eater that I am, I prefer Creme Brulee when the top part isn't burnt. Of course, since "Brulee" means "Burnt" to us French people (We don't like to be called "Frenchies" btw), it would just be called "Creme" if it wasn't done so. 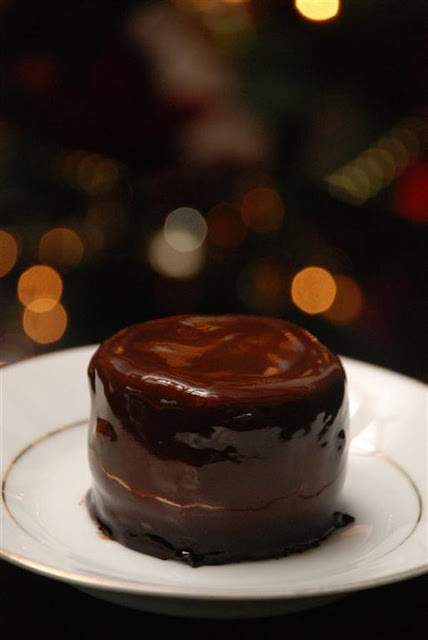 Anyway, he stuffed his already awesome Choco Mousse with.. get this.. the creme of Creme Brulee! Cakes are better when they're stuffed with something inside. I don't know how he gets all of this to hold together and form such a perfect shape. Nor do I care. All that matters to me is this, Chocolate Mousse Brulee tastes as amazing as it sounds and looks. The richness of the soft chocolate mousse balances the dark Belgian chocolate coating, while the smoothness of the creme inside, puts the whole cake over the top. 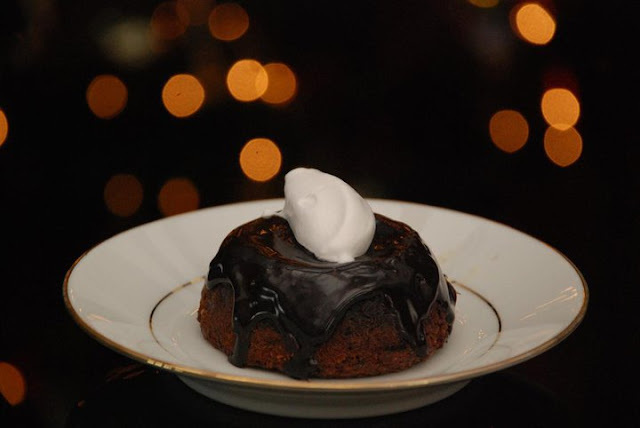 This is seriously fantastic, and a must try for chocolate and dessert lovers alike. I'll be posting more of the awesome goodies Oz Cakes and Pastries in the very near future. 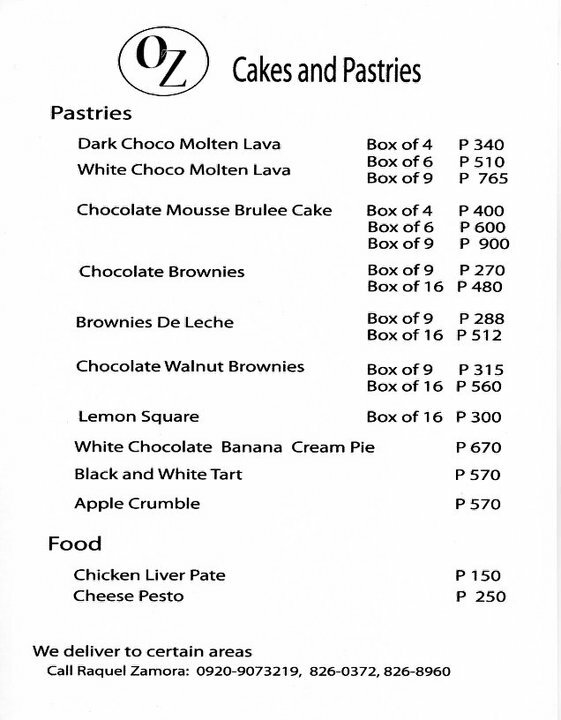 For anyone interested to order, Just choose from the items below, and get in touch with my sister, Raquel Zamora-Hernandez in the numbers listed below. You can also "Like" Oz Cakes and Pastries on facebook! So he doesn't make them anymore?